EarthquakeView is a tool designed to automatically track earthquakes worldwide and display them on an interactive world map. 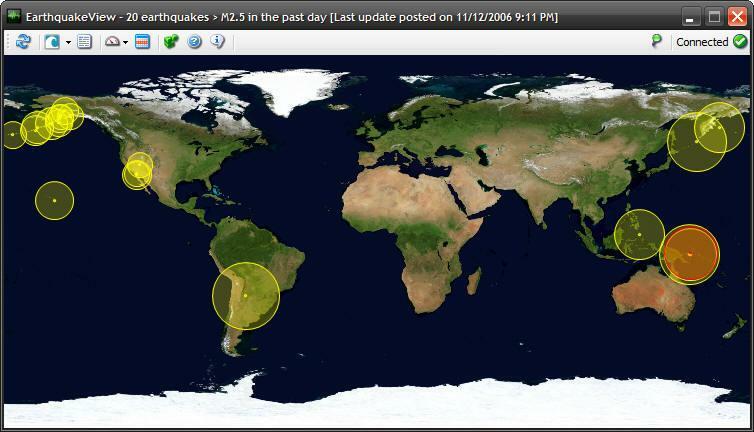 When you activate EarthquakeView, it will check for earthquakes at regular intervals. 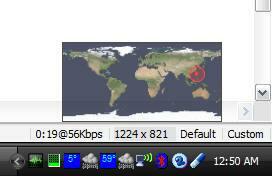 While the program is running, the user will be notified by sight and sound that a new earthquake has occurred. What can you do with EarthquakeView? EarthquakeView is designed to show you earthquakes as they happen. See earthquakes as they happen on your desktop. Copyright 1995-2010 Robomagic Software Corporation. Microsoft, Windows, Windows Mobile and the Windows logo are registered trademarks or trademarks of Microsoft Corporation.